The Valleys Biggest B-day Party of the Year. Live Music Performance by Black Stripes. 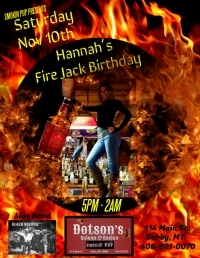 Tennessee Jack Fire Specials all night. 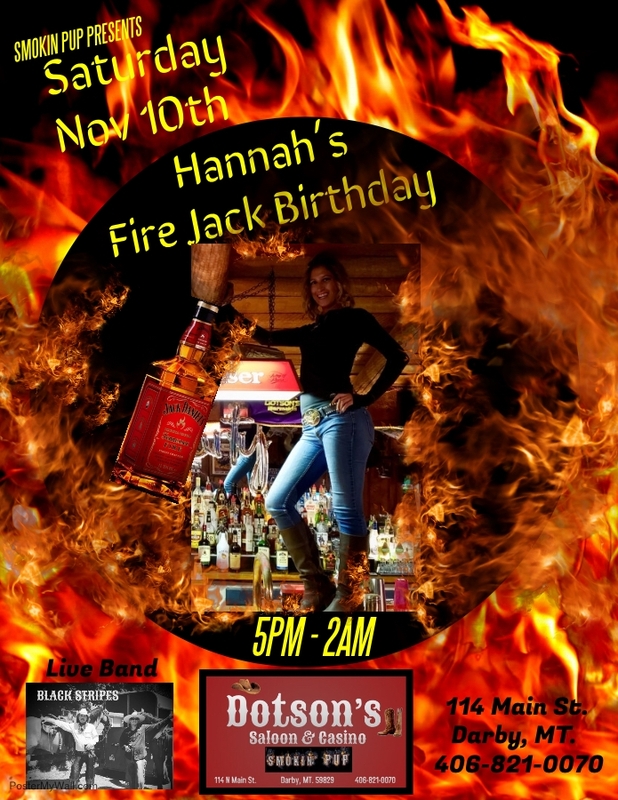 Come celebrate with Hannah on this once a year event. Open to the Public till 2am.